“• Is there anything in the Bible against giving one’s eyes (after death) to be transplanted to some living person?—L. C., United States. “• Is there any Scriptural objection to donating one’s body for use in medical research or to accepting organs for transplant from such a source?-W. L., U.S.A. Most people would probably be surprised at the idea that an organ transplant is cannibalism, but the WTS argued that this was the case. And again, Jehovah’s Witnesses would have to toe the line. They should rather die or be crippled than accept an organ transplant, and for the next thirteen years, that is exactly what faithful brothers and sisters did. That is until the WTS changed their mind again about organ transplants. In the same magazine, some health reports about certain risks in organ transplants are extrapolated to make it appear like the benefit is virtually zero and the risks are huge. We have seen this pattern in the WTS attempts to demonize vaccinations, we see it used on organ transplants and, as we will see later, it is especially evident in statements about blood transfusions. 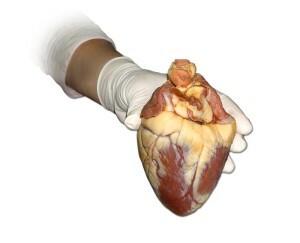 An interesting motivation behind this view of organ transplants is a peculiar idea about the heart. Like the above article strongly suggested that a kidney transplant caused emotional change, the WTS argued that we do indeed think with our literal heart. When the Bible mentions heart as a seat for our deepest emotions and wishes, people will understand this symbolically, realizing that these things physically reside in the brain. Not so with leaders of the WTS. Some Witnesses will still remember a drama at the “Divine Name” convention the following summer on this topic, where the point that we really store information in our hearts was illustrated by giant, glowing, talking models of a heart and brain! Needless to say, JW’s with any understanding of science or medicine were deeply embarrassed by these teachings. This surely illustrates the danger of allowing men with such shallow reasoning based on quack science to decide life and death matters for a community of millions of JW’s. In the same article, the WTS even argued that people who accepted donor hearts lost their personalities, and more than hinted that people who had donor hearts were really heartless! • Two babies were infected with syphilis by blood transfusions at Germany’s Kiel University Clinic last year, reports Wiesbadener Kurier. Infection spread to the parents. Not knowing the source, at least one of the families involved threatened to break up, each partner accusing the other of being unfaithful. Even though the truth came out in court, the damage was done. “Two people will have told one another things of which they would be ashamed when they learned the truth,” notes the article. It certainly appears that the WTS writers search newspapers and magazines all over the world for these articles, and would of course never give a single reference to positive results of blood transfusions or organ transplants as long as these are prohibited. “• Should congregation action be taken if a baptized Christian accepts a human organ transplant, such as of a cornea or a kidney? Again, as had happened when the ban on vaccinations had been lifted, there was not one word of apology to those who had been adversely affected. Also, the WTS is hypocritical when it pretends that “sincere Christians may feel” anything but what they have been told to feel. As with the blood prohibition, “sincere Christians” are not free to feel, they are only “free” to do exactly what the WTS tells them to do. When individual JWs risked their lives they did it because they were ordered to do so under threat of being disfellowshipped, and because they believed the WTS spoke for God. We must ask, did Jehovah God change his mind on these matters, or was the society simply wrong? Last October, three-year-old Chandra Sharp was admitted to a hospital in Cleveland, Ohio, U.S.A., with a heart that was not only enlarged but also failing. She was undernourished, her growth stunted, her weight only 19 pounds [9 kg], and she needed a heart transplant. She was given only a few weeks to live. Her parents agreed to the transplant but not to blood transfusion. They are Jehovah’s Witnesses. The article did not remind the reader that the WTS had taught the same as these ancients until just two years before. An inquiring JW who didn’t’remember this prohibition would never find out. The Watchtower Publications Index 1930-1985 is carefully edited to remove any mention of “organ transplants.” Please verify this for yourself. This embarrassing chapter in the Societies history was closed, and only the dead and wounded were left behind. Can the WTS be sued if they expel or shun a Jehovah’s Witnesses for accepting one o the 4 major components of blood? I think that its unfair that someone who has been baptized for over 40 years is expelled due to the confusing blood regulations the WTS follows. I want to know because I want to tale action against the policy if possible. I need to no from the watchtower or awake tell me if a Jehovah witnesses can have an organ transplant say a kidney .I looked it up under Ajwrb.organ-transplants.they say it is up to that person is that right or wrong.i really would like to know I have to let the Dr.know to put my name on the list by 5:23,17.your dear sister.at the midcity con. From the very first-time organ transplants were mention in 1967, it was a personal decision. But I was very quickly able to look under “Transplanting” and find the relevant articles from both 1967 and 1980. Whether the references were once removed and have now been restored, I cannot say. I can only say that I found them easy to find in Watchtower Library 2017 Edition. Also, the 1967 piece doesn’t read, to me, as a ban on organ transplants. Undoubtedly it is extremely heavy-handed and puts a weighty load on the shoulders of anyones faced with this decision. It is quite plain in its opinion as to how a Christian ought to decide – but it still left it as a matter of individual conscience. It is a prime example of the Organisation’s cruel manipulation of its members thinking abilities and its crafty use of words that allows for future plausible deniability. But I feel on less sure ground when I think about using this period as an example of the Organisation’s bloodguilt. Are there more stories like it? I want to read it! I am quite sure there are more stories like it. The issue is complex and requires people to come forward and disclose private details, and/or risk severe scrutiny from congregation elders. I can recall another incident in the congregation where I attended involving an elder in the late 1970’s or early 1980’s. He was told he needed a cornea transplant. The other elders cautioned him against it. He decided to write the Watchtower Society Service Department, and was eventually told that it would be left up to him. It was considered very controversial at the time.